One of the products that we have mentioned frequently in our write-ups since redesigning the website is the IntelliChem system. A product of Pentair, IntelliChem is an automated system which allows a user to control and monitor a pool’s chemical levels and water chemistry from their computer or devices such as iPads and smartphones. 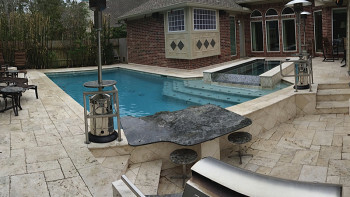 It’s a product that can be installed in new pools or retrofitted into pools that have already been built. 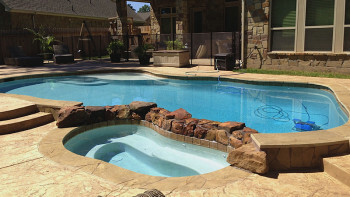 But what does the IntelliChem system measure and how does it keep your pool’s water and structure in tip-top condition? Here are some of the elements that IntelliChem monitors and the reasons why its an ideal tool to have installed with your pool. Chlorine: The primary job of the IntelliChem is to keep the pH levels of the water at a certain level, ideally between 7.2 and 7.8 pH. A main way to do that is add and dilute the water’s chlorine level. 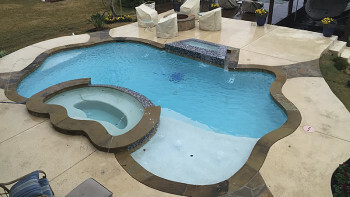 Instead of “shocking” a pool with jugs of chlorine and making it unswimmable for 4-5 hours, the IntelliChem releases the chlorine necessary to stay within the ideal pH level. If you want to speed up the process, you can pour a little bit of liquid chlorine to raise the pH or add some water to lower it. Those are better and safer alternatives to shocking to raise the pH (which can leave your pool in a dangerous state to swim in for several hours) or adding muratic acid to lower the pH, which is a common do-it-yourself solution to lowering the water’s pH level. Muratic acid is corrosive, not only to the concrete around the edge if it spatters, but to your skin as well. Cynaric acid: Cynaric acid serves as a stabilizer for your pool, as it protects the chlorine that’s present in your pool from elements such as sunlight. However, having too much cynaric acid in your pool will decrease the chlorine’s effectiveness in combating bacteria and algae while also making the water cloudy. You can test your cynaric acid level and input the results into your IntelliChem, where it will tell you if your water is at one of four stages: Corrosive, normal, ideal or scaling. In general, you want keep your cynaric acid levels between 40 and 70 parts per million to allow your chlorine to do its job effectively. Calcium: Another thing IntelliChem will do is use calcium levels to tell you what stage your pool’s water is at. 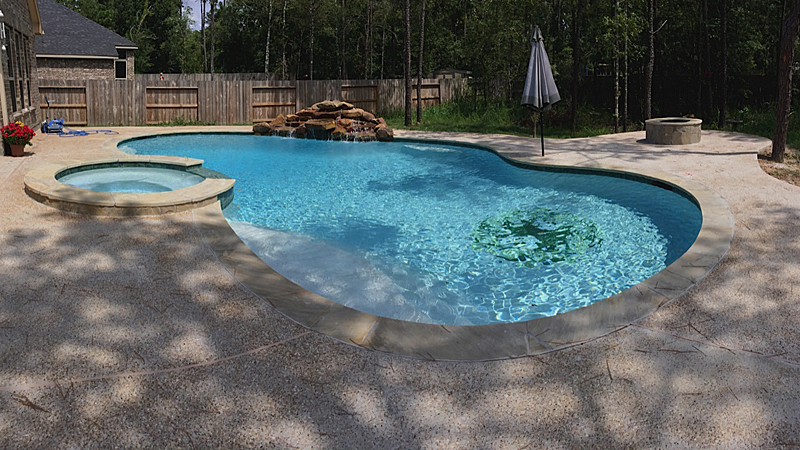 The ideal calcium level in your pool should be roughly 250 parts per million. A range of 200 to 400 parts per million is acceptable, as that serves as the margin of error for cynaric acid to stabilize the calcium in your pool. 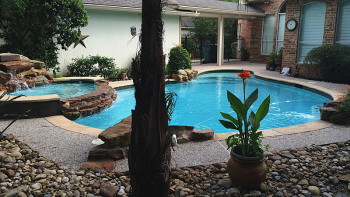 Excess calcium can cause scaling on the pool surface and cloud the water of the pool, while not enough calcium will cause the pool water to eat away at the calcium in the plaster of your pool’s surface to compensate. Testing your water’s calcium level and inputting it into the IntelliChem will help you find the ideal calcium balance. Alkalinity: Like with cynaric acid, alkaline substances serve as a stabilizer, as they keep the pH levels of the water from going all over the place while allowing chlorine to do its thing. However, like cynaric acid, water with too much alkalinity can make your water murky and unclear along with hamstringing your chlorine’s effectiveness. Too little alkaline has a similar effect to having too little calcium, causing plaster and metals to corrode and cause scaling on the surface. You can test your water and load the results into your IntelliChem to see where its alkalinity level lies. The preferred range of alkaline substances in between 80 and 200 parts per million, with 120 parts being a good place to set it at. IntelliChem will do the math for you as far as finding the ideal levels of chlorine, cynaric acid, calcium, pH and alkalinity. You can even play with different numbers to find the perfect chemical balance for your water. We install the system for a fee, so ask us about IntelliChem today!